The day has finally come! After months of excitement and anticipation, Kate Middleton and Prince William have welcomed their first child together. The new royal baby boy was born at St Mary's hospital in Paddington, London today. Kate Middleton and Prince William are celebrating the arrival of their first child. The Duchess gave birth to a baby boy this afternoon in the Lindo Wing at St Mary's hospital in Paddington, London. Kensington Palace announced at around 8.30pm this evening: "Her Royal Highness The Duchess of Cambridge was safely delivered of a son at 4.24pm. "​The baby weighs 8lbs 6oz.The Duke of Cambridge was present for the birth. New grandfather Prince Charles has released an official statement: "Both my wife and I are overjoyed at the arrival of my first grandchild. ​"It is an incredibly special moment for William and Catherine and we are so thrilled for them on the birth of their baby boy. "Grandparenthood is a unique moment in anyone’s life, as countless kind people have told me in recent months, so I am enormously proud and happy to be a grandfather for the first time and we are eagerly looking forward to seeing the baby in the near future." Kate and her hubby Wills announced they were expecting their first child together at the beginning of December last year - the couple were forced to reveal their happy news earlier than planned in order to avoid speculation when Kate was admitted to hospital. Kate suffered with hyperemesis gravidarum - acute morning sickness - in the early months of her pregnancy and was forced to sit out of a number of royal engagements. But once she was feeling better, Kate was glowing and showed us all how maternity style is done. ​The Duchess' due date was originally claimed to be 13th July after an insider told the Daily Mail about a regal slip of the tongue. Kate and Wills, both 31, were reportedly overheard at a barbeque discussing their new arrival and the day it was due. But a spokesperson for the Palace said: "We have only said that the Duchess is due in July. Anything further would be speculation." Details of Kate's labour have not been revealed, but it was reported before the baby's arrival that she was considering a hypnobirth. She bucked a number of royal traditions in the run-up to her birth - including her insistence that Wills be with her during labour. And it appeared she was moving away from conventional birthing techniques as well. Hypnotherapy is an increasingly popular way to prevent pain during birth and Kate thoroughly investigated her options. A source told Now magazine in May: "Kate's very excited about the idea of hypnobirth. "She's exploring lots of options but thinks it sounds very interesting." The technique revolves around a sequence of specific breathing exercises to relax the body. This natural approach also reduces the need for an epidural to relieve the pain. However the new mini Royal came along, we’re glad he’s finally here! 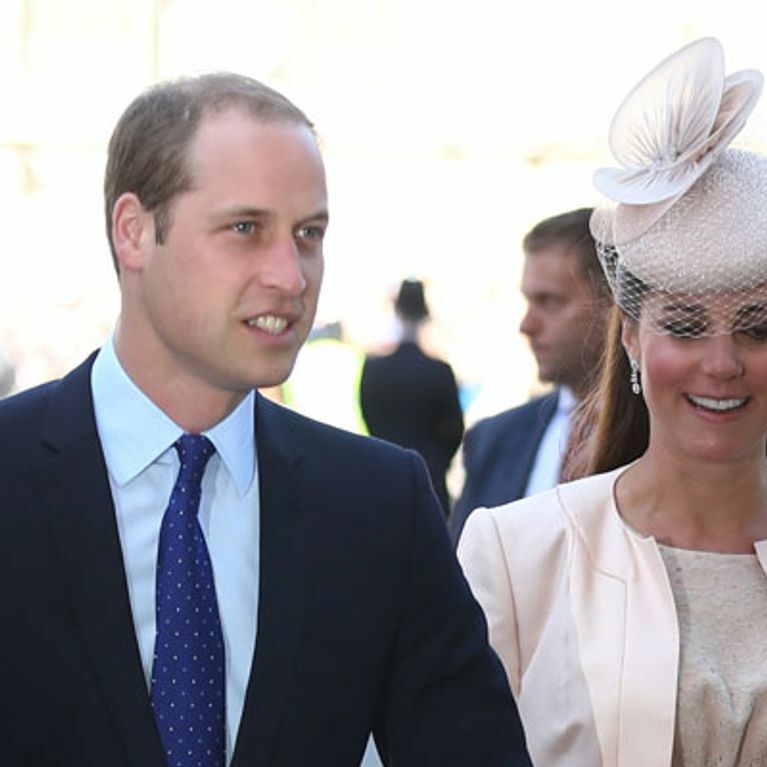 Kate Middleton and Prince William plan royal baby number two? !